I have 10+ blogs having Pagerank 5 (PR5), I want to sell link inside Blogroll / Contents. Backlinks will be placed for minimum of 3 months. PM me if you have any question. So what are you waiting for?????????? 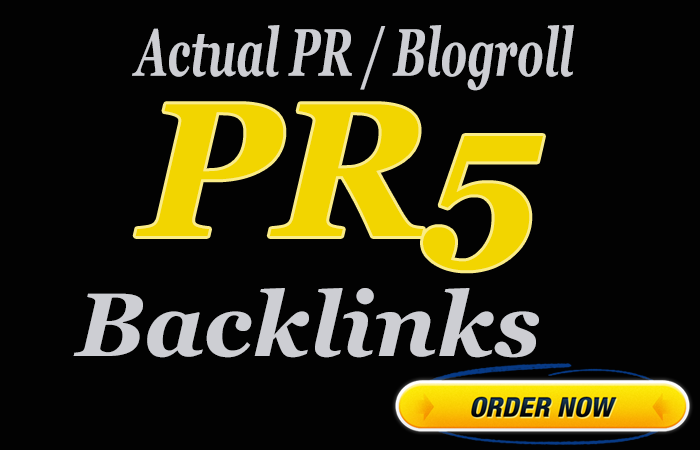 Guranteed 3 X PR5 HOMEPAGE Blogroll Backlinks is ranked 5 out of 5. Based on 3 user reviews.